The simplest, and perhaps the best, way to use your skills for making fresh pasta and broth at home is to serve a warming bowl of pastina in brodo. It makes a wonderfully light but savory primo piatto, especially apt when you plan on a substantial (but not too assertive) second course. The term pastina refers to various sorts of tiny pasta shapes used for soups. 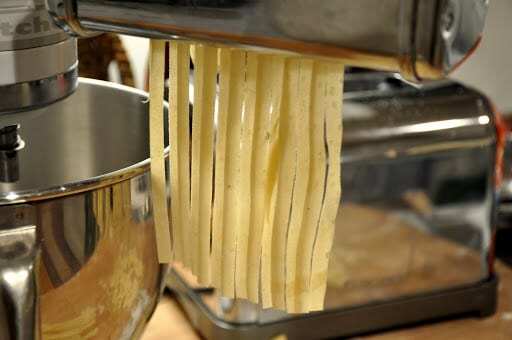 You can, of course, buy soup pasta in the store, but making your own fresh egg pasta brings this simple dish to another level. 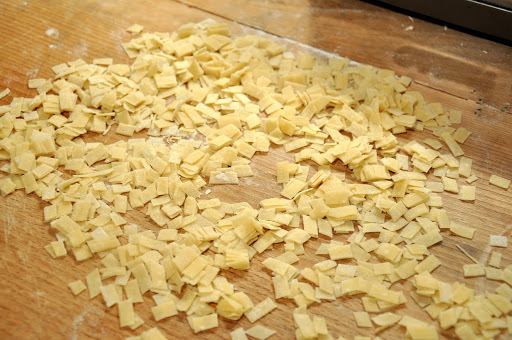 There are any number of fresh pastas that will do nicely for soup–Angelina made her own tagliolini cut into short lengths–but I particularly like the pasta called quadrucci. You are now ready to cook your quadrucci. Being so thin, they will cook very quickly, so you can simply drop them directly into your simmering broth. (Make sure to shake off any excess flour that might cling to them so as not to cloud the broth.) The quadrucci should take anywhere from 30 seconds (if they are very fresh) up to a minute or two, but no more. 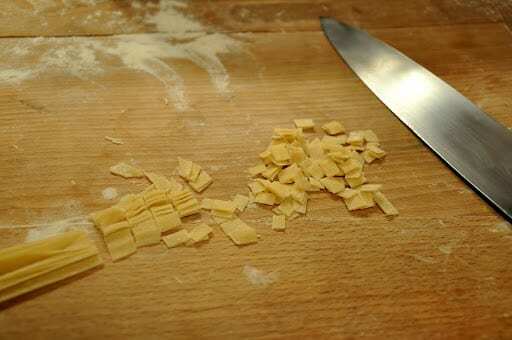 Add some chopped parsley if you like (it adds some color and subtle flavor) and serve immediately, with grated cheese on the side if those who want it.NOTE: The term quadrucci is also used to describe a different egg pasta, also served in broth. It is a very rather square piece of pasta, with a parsley leaf in the middle that has been pressed between two thin sheets of pasta. It produces a beautiful effect for a special occasion. A fellow Foodbuzz members has blogged about it here. The kind of quadrucci described in this post, on the other hand, is for everyday eating.While I associate this dish in my mind with the Emilia-Romagna region, I can’t say for a fact that quadrucci originated there. And these days you can find dishes with quadrucci, not just in soup but also in various forms of pastasciutta, in a number of regions. It is available commercially in Italy but I have not seen them elsewhere. But being fairly easy to make, that should be no problem at all. 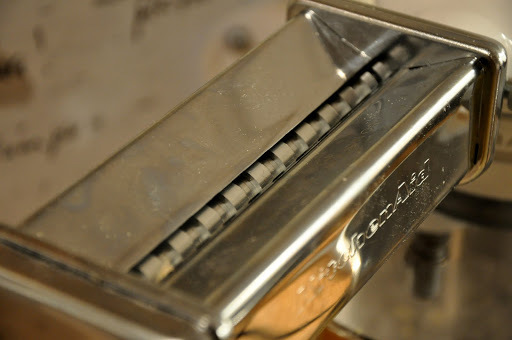 Where can I buy the pasta squares for soup?